Get slug pellet applicators tested | Get Pelletwise! 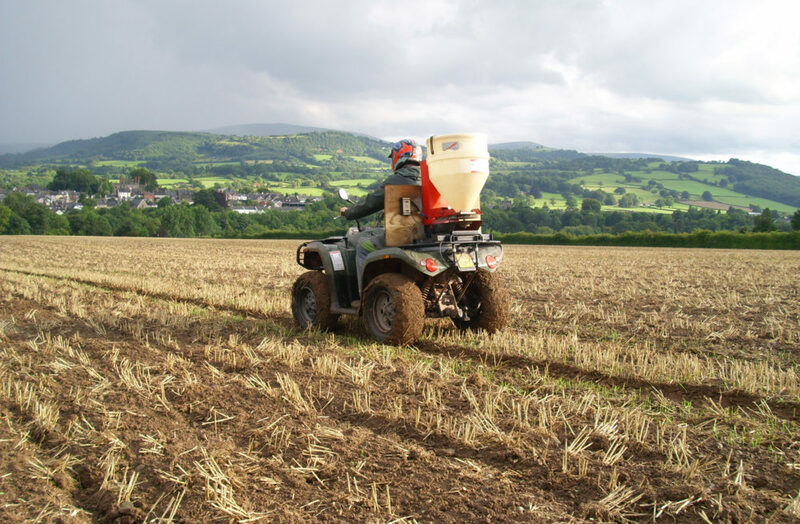 This year’s Cereals event, saw farmers and contractors being reminded that all vehicle mounted pesticide application equipment, including slug pellet applicators, need to hold a valid National Sprayer Testing Scheme certificate by 26 November 2016. Talking on the Water UK stand at Cereals 2016, Duncan Russell, manager at the National Sprayer Testing Scheme (NSTS), highlighted that the new requirement does not only apply to sprayers. “Slug pellet spreaders apply pesticides and therefore they’re subject to the same rule as sprayers. There is one exception for sprayers and pellet applicators that are less than five years old – they only require testing on their fifth anniversary,” says Duncan. “We’re working alongside the Metaldehyde Stewardship Group (MSG) to raise awareness of the importance of ensuring that machinery is tested and a key thing to point out is that the penalty of non-compliance could lead to prosecution as well as threatening farm assurance status and single farm payments,” he adds. Duncan explains that it is also important to remember the wider benefits that a well maintained and regularly tested pellet applicator can offer. “Overall it helps to enhance pest control and the cost effectiveness of treatments as well as being safer for the operator and the environment,” he adds. Simon McMunn from MSG explains that they’re on board with the campaign in recognition of the role accurate pelleting can play in stewardship and in maintaining access to metaldehyde slug pellets. “What we do as a group is all about promoting best practice in applying metaldehyde slug pellets. We’re keen to help water companies comply with water quality legislation and for this reason urge farmers and contractors to get machinery tested,” says Simon. “Ideally look to get applicators to get their spreaders tested ahead of the 26 November 2016 deadline, which is part of the overall need to abide with best practice stewardship and the Sustainable Use Directive (SUD)*. “The sooner operators can have their equipment certified as working correctly, the sooner the industry can reaps the benefits,” he concludes.